Yes, we do have different types of the dental implants and the cost varies remarkably depending upon different companies and manufactures. If you have thought of getting a dental implant treatment “CHEAPEST OR THE MOST EXPENSIVE” does not matter what suits you best matters in the long run. for example the most popular implant NOBEL BIOCARE have a brand called NOBEL ACTIVE….which is the most expensive brand but it is only required for immediate loading implants and not for every case. 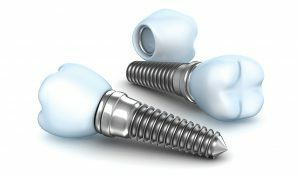 So if i were to give an option i would suggest a patient to go for a normal nobel replace if immediate loading (i.e tooth to be placed over implant immediately…a conventional treatment involves putting implant on the first surgucal phase and then putting crown over it few months later. )is not desired. the patient can as well invest this extra cost of implant to get a zirconia /bleaching or anything else for that matter. The different companies of implant have their patented technology for which they charge and eventually to make up for the cost the dentist charges you accordingly. So when you decide to choose upon the implant take into acount that a standard company is being used or not rather than on the cost. As each kind of implant is meant for a particular situation. There are certain single piece implants for dentures which are cheaper as compared to two piece implants and then there are separate implants for hybrid dentures and so on……. So evaluate and discuss carefully with your dental surgeon what implant is being planned for your particular situation and the decide if the cost is worth it or not?